When I was a younger man, I lost my left maxillary central incisor due to facial trauma. For many years after the initial traumatic injury, the tooth was preserved with root canal treatment, post and core, and a porcelain fused to metal crown. Eventually, the tooth fractured and was non-restorable. The determination was made to remove tooth #9 and immediately place a dental implant. At best, the implant treatment provided was at best an example of successful osseo-integration and at worst a massive cosmetic failure. 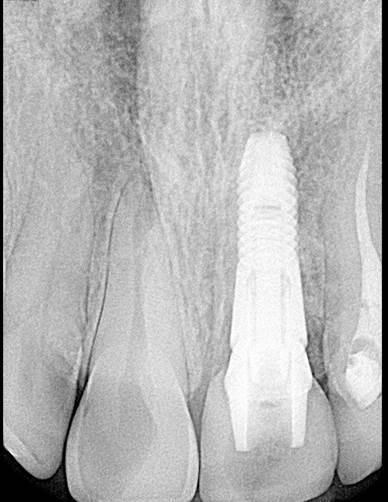 Although the implant did osseo-integrate and has provided a stable and functional fixture to support a dental restoration for almost 20 years, the implant selection relative to diameter, and position of placement relative to available bone left a lot to be desired, ultimately contributing to a poor cosmetic outcome for the patient (me! )(figure 1a, figure 1b). Luckily, I have a low smile line and am rarely clean-shaven, both qualities that help overcome the positioning errors and potential pre-emptive timing of implant placement[i] (I was only 17 years old when the implant was placed). Advances in dental technology have dramatically changed the way dentistry is being done since my implant was placed almost 20 years ago. Specifically, data acquisition and integration, and how it aides treatment planning for the dental patient, has continued to evolve and expand in ways that improve predictability and outcomes for complex cases and implant dentistry. For example, the availability of Cone Beam Computed Tomography (CBCT) information coupled with information translated from an intra-oral scan or digitized dental gypsum model into an STL file (Standard Tesselation Language) has become an integral part of treatment planning the safe and effective surgical placement of dental implants. At a minimum, the layers of information contained in a CBCT scan can allow an implant surgeon to evaluate the candidacy of a patient for dental implant treatment based on bone density (given in Hounsfield Units) and bone volume[ii]. Likewise, the information allows the surgeon to select an appropriate implant diameter and length for the intended site that will avoid vital structures such as the mental foramen, mandibular canal, or maxillary sinus. More astutely, this information, when integrated with digital models of the patient’s dentition, can allow the surgeon to envision an implant angulation that will facilitate a good restorative position of the eventual implant supported restoration. By going even one step further, Computer-aided design and Computer-aided Manufacturing (CAD/CAM) can allow a dentist or laboratory technician to create a surgical drilling guide that will enable the surgeon to transfer the digital implant position from the CAD/CAM software to the living patient, thus ensuring surgical placement of a dental implant that avoids vital structures, is adequately encompassed by bone, and is in the best restorative position possible relative to bone volume (figure 2a, figure 2b, figure 2c). Figure 2a; Planned implant placement relative to bone volume utilizing CBCT and CAD. Figure 2b; Implant placement proposal relative to desired tooth position with digitized model replaceing tooth #9. Figure 2c; Surgical drilling guide plan in CAD, ready to be 3D printed. This workflow is especially important when planning the placement of a dental implant in the anterior maxilla, also referred to as the esthetic zone. First of all, thorough evaluation of the patient and implant site is necessary. Not every patient is an exceptional, or even good, candidate for dental implants in the esthetic zone. Some patients may require adjunctive or alternative treatment in cases where bone height and/or volume in the pre-maxilla is deficient or otherwise compromised. Contributory medical history, gingival and osseous phenotype, parafunctional habits, and hygiene practices should not be overlooked. Patients who have lost an anterior tooth secondary to trauma (like me), may present with a socket classification that directs treatment modalities related to the treatment sequence. [iii] Those patients who initially present as poor candidates for implant treatment in the esthetic zone may require ridge augmentation procedures prior to dental implant placement, extending treatment time and cost. Even for a patient that presents with, or who through adjunctive procedures has acquired, an adequate volume and density of bone to accommodate a dental implant, cosmetic outcomes must be considered when placing an implant in the esthetic zone. For example, a patient may have enough bone to place a dental implant, but the placement of the implant into that bone may not facilitate a dental restoration that provides a functionally cosmetic outcome relative to soft tissue architecture or tooth position[iv]. The final result of the implant restoration in terms of esthetic criterion can be especially challenging. Luckily, a fairly simple guideline exists for the surgeon to adhere to when planning and executing dental implant placement in the esthetic zone. An article by Dr. Lyndon Cooper in a 2008 issue of the Journal of Restorative Dentistry states, “The ideal depth of the implant placement is suggested to be 3 mm apical to the planned gingival zenith. The implant/abutment interface should also reside 2 mm palatal to the zenith to ensure adequate thickness of bone and mucosa to support tissue form. This “3:2 Rule” further suggests to the clinician when bone grafting or soft tissue augmentation should be performed.”[v] The assertion is simple: in the anterior maxilla, especially in the area of the central incisor, the implant platform should be placed 3 mm apical to the proposed gingival zenith and 2 mm palatal to the proposed facial surface of the crown restoration. The rationale for the “3” is scientifically sound as it is a number that has been validated in the literature as the average width of the supra-crestal dento-ginigval complex in humans[vi],[vii](figure 3). As such, the implant restoration must have adequate space for development of supra-crestal fibers associated with the implant restoration if proper gingival health and esthetic gingival display are to be achieved. If the implant is placed too deep (too apical) relative to these parameters, the restoration will likely present with a gingival zenith that is too apically located, and can be challenging to restore. If the implant is not placed deep enough (too coronal), an insult to the formation of biologic width is introduced, and tissue response to the implanted device is compromised (figure 4a, figure 4b). The “2” is practical and is more related to cosmetics and function of the hard tissue aspects of the prosthetic, as it allows an adequate thickness of ceramic material and provides the dental technician space to create internal modifications that develop appropriate dentin shade, enamel shade, and micro-esthetics. This also ensures that the facial plane of the restoration is consistent with the rest of the dental arch, and that the restoration reflects and refracts light adequately relative to its position (a more facial restoration will look bigger and brighter, a more palatal restoration will appear smaller and darker). If the implant is placed too facial, it becomes more difficult for the technician to create a strong restoration that is beautiful, lifelike, and undetectable as a false tooth. If the implant is placed too palatal, occlusal challenges, speech impediments or patient discomfort can come to fruition. If the guidelines are followed, an esthetic restoration with a properly located gingival shroud can be attained (figure 4c, figure 4d). Figure 4d; Visualization of the fixture platform relative to the proposed gingival margin. Whether the surgeon is placing an anterior implant in a healed site or immediately at the time of a minimally traumatic tooth extraction (figure 5a, figure 5b, figure 5c), CBCT information integrated with STL files can help plan the implant location in a position to encourage a cosmetically acceptable outcome. If inadequate bone exists to facilitate such placement, ridge augmentation procedures should be considered to achieve a better esthetic result. The beauty of the integrated information is that the surgeon or dentist “quarterbacking” the case with a specialist can examine appropriately and measure accurately the best placement for an anterior implant. Once a digitized model or intra-oral scan of the patient’s dentition is “overlayed” onto a CBCT scan, a digitized patient exists within CAD software, and tooth position can be evaluated relative to bone position. Then, utilizing CAD/CAM technology, a digital replica of a specific type and size of dental implant can be placed into the digital patient and evaluated for length, diameter, and proximity to vital structures. Moreover, specific measurements can be taken to inform the surgeon of the relative distance to other dental structures. If a diagnostic wax-up or other prototype has been completed to inform the digital technician of the proposed gingival zenith and facial surface of a missing maxillary anterior tooth, measurements can be taken to guide implant placement so that the platform of the fixture is in an appropriate position for maximizing esthetic outcomes – 3 mm apical to the proposed gingival zenith, and 2 mm palatal to the proposed facial surface of the restoration. Intricate technologies have infiltrated the art and science of dentistry, enhancing the ability of human operators to provide high quality dental care for patients. As good as the technology is and will become, it is important to remember that technology is not a replacement for possessing the knowledge and skill necessary to execute procedures soundly and safely. Remember, dentistry should be FUN! Hopefully this knowledge empowers you to predict your clinical outcomes and decreases your stress, so that the next time you plan to place an anterior implant, it’s not a job, it’s FUN! Dr. Yakowicz graduated from Marquette University School of Dentistry in 2010 and currently practices in the Greater Madison Area of South Central Wisconsin. 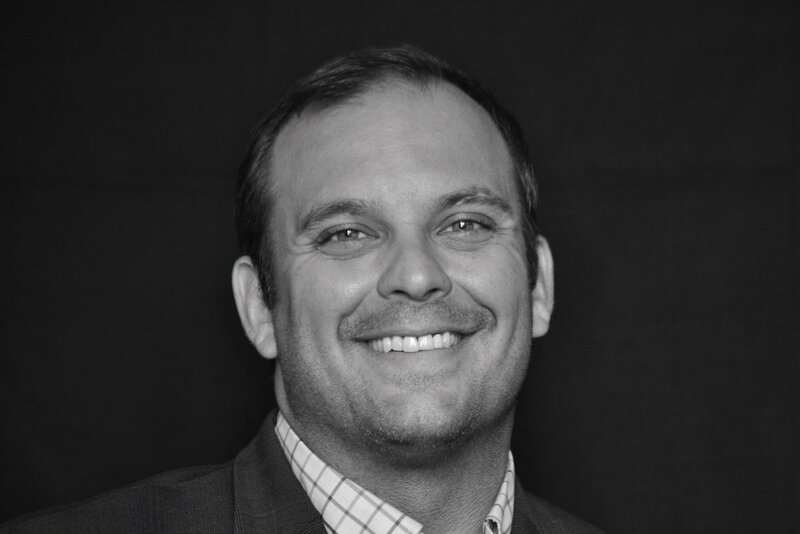 Having completed over 750 hours of continuing education, his special interests include functionally cosmetic full mouth rehabilitation, TMD and oral-facial pain, and surgical implant placement and prosthetic restoration. Dr Yakowicz is currently the president of the Madison Dental Progress Forum Study Club and the Wisconsin Institute for Advanced Dental Education. He is a member of the Academy of General Dentistry, the American Academy of Cosmetic Dentistry, and the American Academy of Fixed Prosthodontics. Additionally, Dr. Yakowicz participates in research studies for the National Provider-Based Research Network and is an Ambassador to the National Health Service Corps. Dr. Andrew Carmosino graduated from SUNY Buffalo School of Dental Medicine in 2009. He completed a GPR at Brigham and Women’s hospital and practiced as a general dentist in Erie, PA for two years prior to specializing in Periodontics. Dr. Carmosino earned a master’s degree in Oral Sciences and a specialty certificate in Periodontics from the University of Illinois at Chicago College of Dentistry. He is a diplomate of the American Board of Periodontology. His society memberships include the American Academy of Periodontology, American Dental Society, and Academy of Osseointegration. Dr. Carmosino currently works in a private practice in Madison, WI, which is limited to periodontics and dental implants. Eslevier Mosby, St. Louis, MO. [iii] J Calif Dent Assoc. 2005 Nov;33(11):853-63. Caplanis N1, Lozada JL, Kan JY. [v] J Esthet Restor Dent. 2008;20(3):195-205. 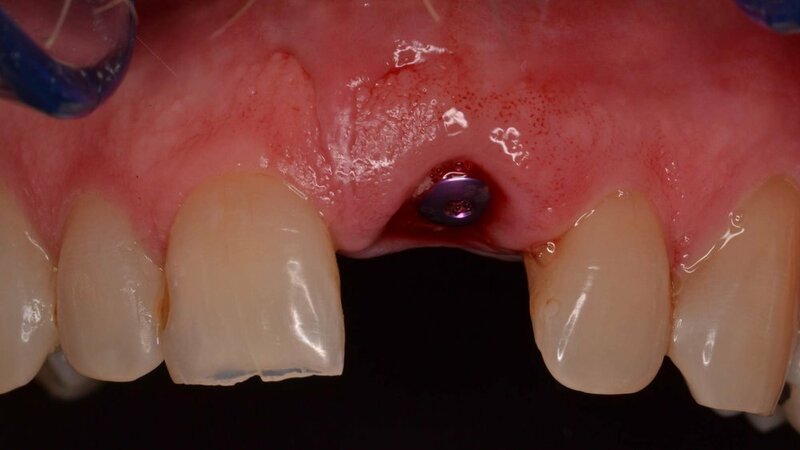 Objective criteria: guiding and evaluating dental implant esthetics. [vi] Journal of Periodontology. 1961; July 1. Anthony W. Gargiulo D.D.S., M.S., Frank M. Wentz D.D.S., PH.D., Balint Orban M.D., D.D.S. [vii] Int J Periodontics Restorative Dent. 1994 Apr;14(2):154-65. The dimensions of the human dentogingival junction. Vacek JS1, Gher ME, Assad DA, Richardson AC, Giambarresi LI.